The East Cooper Breakfast Rotary Club was chartered in 1996 with 35 charter members. We are committed to working with youth, helping our community and playing an active part in Rotary’s International Community Service Projects. Here’s a sampling of what we do. Vocational Teams (formerly Group Study Exchange) – District 7770 sends teams of young professionals to other countries to perform needs assessments and to study their occupations in other countries. We’ve accepted teams of young professionals from all over the world. Ambassadorial Scholarships – The purpose of the Ambassadorial Scholarships program is to further international understanding and friendly relations among people of different countries. Youth Exchange – District 7770 sends South Carolina high school students (between the ages of 15 and 18 1/2 on departure) to live and attend high school in other countries for a year. Friendship Exchange – Friendship Exchange is an international exchange program for Rotary members and friends that allows participants to take turns hosting one another in their homes and clubs. Participants may travel as individuals, couples, families, or groups, and maybe Rotary members or not. CART – District 7770 took the lead in supporting Coins for Alzheimer’s Research, a cooperative Rotary program that supports research for the treatment and cure of Alzheimer’s disease. Gift of Life – District 7770 is a long-time supporter of Gift of Life, a program that accepts at-risk children from third world countries and provides life-saving surgeries with Rotary funds. Spread the word about the Charleston Duck Race! 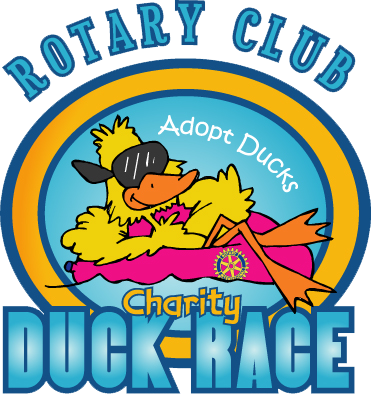 Hosted by the Rotary Club of Daniel Island, the Charleston Duck Race is an annual fundraising event that supports local nonprofits and service projects coordinated by participating Rotary Clubs.